Don Julio Añejo spends more than the minimum requirement of 1 year on oak, and is normally aged between 18 months and two years before it reaches its optimum age and taste profile. 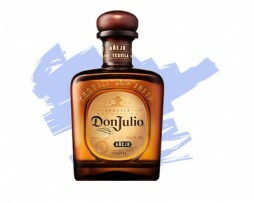 As with the rest of the Don Julio range the nose is fruity and floral, but with notes of vanilla and fresh agave, whilst the palate is slightly richer and more full bodied, yet still sweet and rich with citrus characteristics. 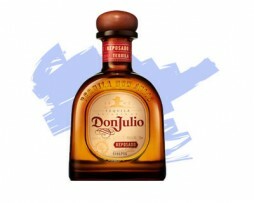 Don Julio Reposado Tequila is made from 100% premium Blue Agave plant and has become Mexico’s highest selling super premium Tequila. 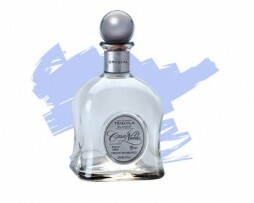 The slow maturation of this tequila creates a complex range of flavours, ranging from citrus to rich honey and vanilla. 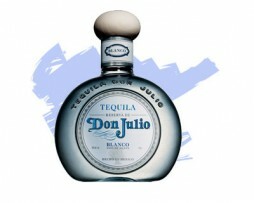 Don Julio Blanco Tequila is a true tequila connoisseur’s blanco. It is bottled without being aged, but rather rested for a short time in containers to allow the spirit to settle and proudly delivers fresh agave characteristics. The nose carries light citrus aromas, whilst its palate is clean and crisp with some sweet notes of vanilla.